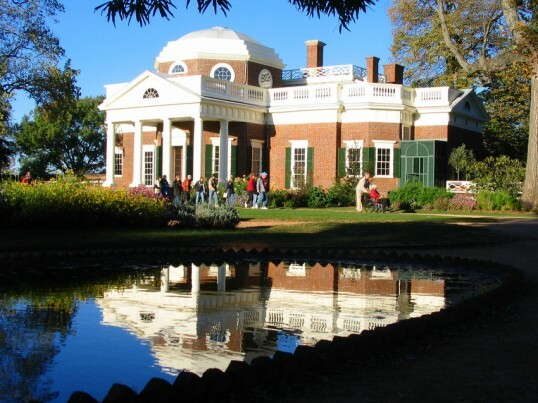 Last night, while the world was preoccupied with something else, businessman David Rubenstein, the co-CEO of The Carlyle Group private equity firm, announced a gift of $10 million toward the continued restoration of Monticello, the former home of Thomas Jefferson. A pair of slave quarters on Mulberry Row will be recreated and work will be done on the second and third floors of the main house. Archaeologists and historians designing the project will follow a drawing Jefferson made in 1796, describing the material and dimensions of the log structures along Mulberry Row. Over the next two years, they plan to rebuild a structure described as being among “servants’ houses of wood, with wooden chimneys and earth floors.” The 12-by-14-foot dwelling would have housed a single family, representing a shift from barrack-style housing. It’s believed to have housed members of the extended Hemings family, who held important positions at Monticello. Most historians believe Sally Hemings, a slave, had a relationship with the third president and that he was the father of her six children. In the recreated house, curators may also focus on the life of Hemings’ younger brother John Hemings, who was a highly skilled joiner and cabinetmaker. This marks something of a departure for the folks at Monticello. Unlike their counterparts at George Washington‘s Mount Vernon, they had thus far declined to speculate on the exact nature of slave quarters. And of course part of the problem is that not all slaves lived in quarters (many simply slept where they worked) and not all slaves were as advantaged as the Hemingses to live in these particular quarters. That said, the absence of such houses today on Mulberry Row helps us forget what Jefferson actually saw looking out from Monticello. It helps us forget, in other words, slavery.